SEASIDE — After all that — the 86 combined points, the 756 yards in total offense, the back-to-back kickoff returns for touchdowns — after all that, it came down to one defensive stop on a two-point conversion try in overtime. The big defensive play belonged to the Seaside, and so did the win, 44-42 over Estacada. The season comes to a close for the Rangers (8-2 overall), while the win sends Seaside on to Saturday's semifinals, where the Gulls will face another Tri-Valley opponent Gladstone. Two ties and two lead changes didn't even begin to tell the story. It was the emotional post-game gatherings for each team and the looks on players' faces that said it all. Cheers at the north end of the field, tears at the south end. And nothing but mutual respect from the opposing coaches. "We saw these guys earlier this year and had a little taste of what they are," Estacada coach Andy Mott said of the Gulls, a team the Rangers played for a half hour in a pre-season jamboree. "They're a good football team, and we knew they were going to go a long ways." Seaside senior Alexander Teubner rushed for 225 yards and scored five touchdowns. His last score of the night was a 6-yard pass reception from quarterback Payton Westerholm, on the first possession of the Kansas Plan overtime. Brayden Johnson caught the two-point conversion pass from Westerholm, and that turned out to be the difference. 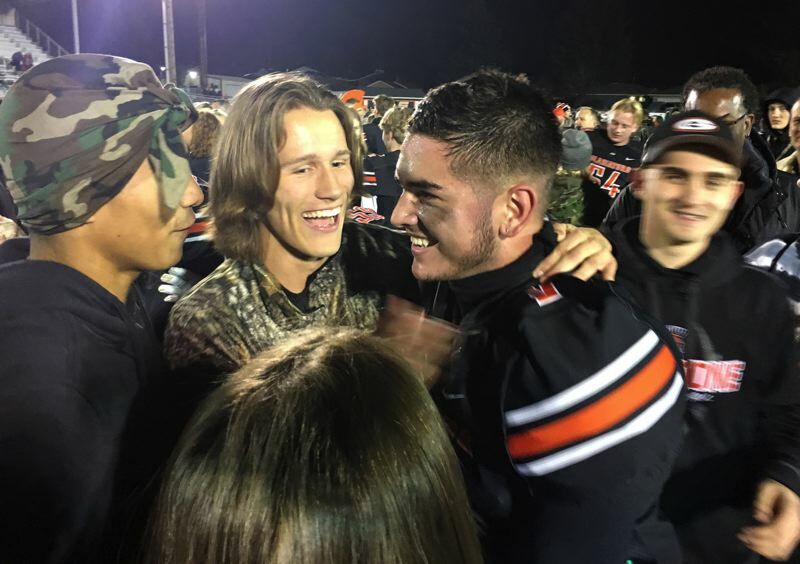 The Rangers scored on their only overtime possession with Kaden Settle grabbing a 20-yard pass from Nick Keller, but Estacada's try for two was stuffed by the Seaside defense. Just how closely matched were the two teams? 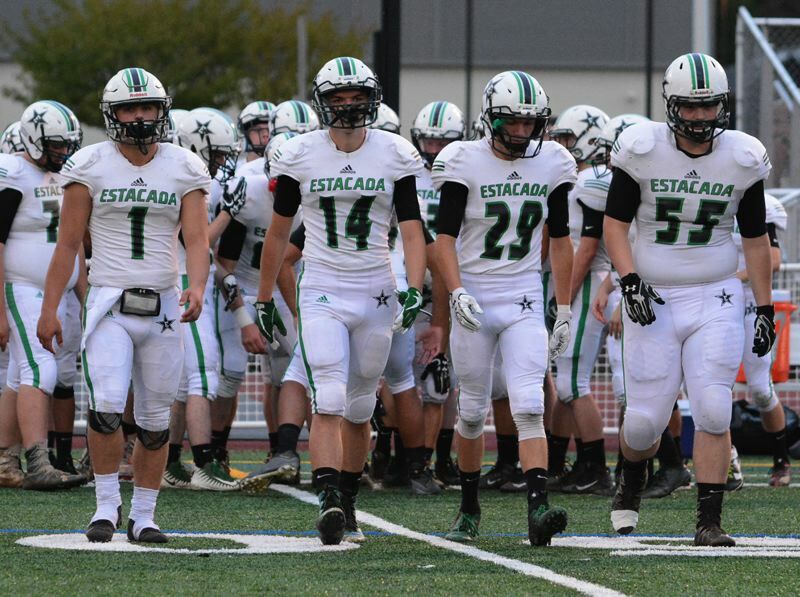 In addition to the two-point differential on the scoreboard, Seaside had 379 yards in total offense to Estacada's 377. Long snapper Jack Foss made a solid snap, holder Jaxon Jedrykowski put the ball in place, and Burgos drilled a 47-yard field goal as time expired, lifting the No. 2-ranked Gladiators to a 30-27 victory over La Grande in the 4A football quarterfinals Friday night. Burgos spent his freshman year at Estacada. Gladstone takes on Seaside in the 4A semifinals at 11 a.m. Saturday at Hillsboro Stadium. Look for expanded coverage ahead in our Nov. 15, print edition.